Lora offers LimeLight® Intense Pulsed Light (IPL) treatments to reduce signs of aging like fine lines and age spots. These painless treatments stimulate collagen production and target excess melanin in your skin. 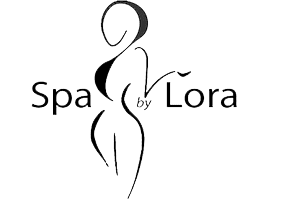 You can schedule appointments at both of the Spa by Lora locations in the Bucktown neighborhood of Chicago and the Ravinia neighborhood of Highland Park, Illinois. IPL is aphotofacial treatment that harnesses the power of broad-spectrum light energy to reduce signs of aging on your skin like fine lines, wrinkles, and age spots. IPL is also an effective treatment for redness caused by rosacea. Lora uses the innovative LimeLight® IPL by Cutera. The treatment uses an adjustable wavelength so it’s customizable and can be used on almost any skin tone. The light energy targets excess pigmentation, breaking it down so your body can flush it out with other waste products. IPL also tightens your skin and can improve your overall skin tone. It stimulates collagen production, which is the skin fiber that helps your skin look plump and youthful. What skin concerns are treated with IPL? IPL can be used on any part of your body, including your face, neck, chest, shoulders, back, arms, and hands. During your IPL treatment, you'll relax in a comfortable chair and wear a pair of protective goggles. Lora uses the LimeLight handheld device to direct the IPL toward your skin. You may feel a warming sensation during your session, and most clients don't find the treatments uncomfortable. Your treatment should take 20-30 minutes, depending on the size of the area being treated. You can have IPL on more than one area at a time. How many IPL treatments do I need? Lora provides customized advice to each client regarding the number of treatments necessary to address your skin concerns. In most cases, three or four sessions are needed. You need to wait approximately four weeks between each IPL session to allow your skin to respond to the treatment. Please note that results vary between clients and that you may need more or fewer treatments than a friend or family member. How should I take care of my skin after an IPL treatment? Lora provides skincare advice specific to your skin type and concern to help maximize the effectiveness of the treatment. In general, you should use a gentle soap-free cleanser and moisturizer during treatment. It is very important for you to reduce your sun exposure while you have IPL treatments. Make sure to wear a broad spectrum sunscreen every day, even if you’re not planning on being outside for long. Contact either Spa by Lora location to make an appointment today.